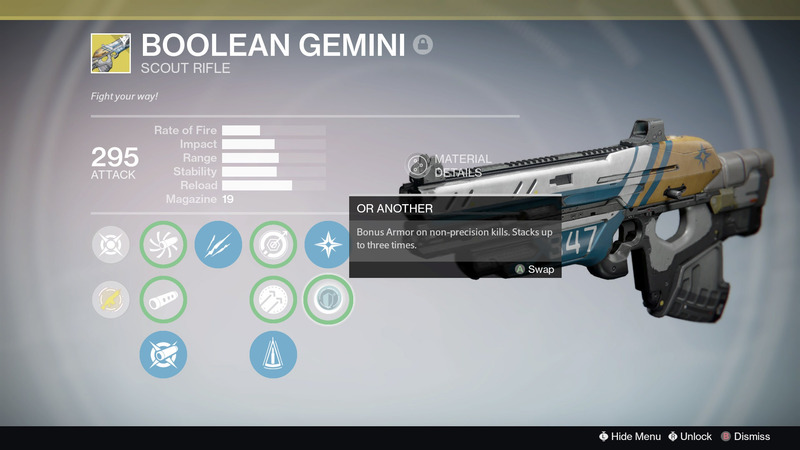 This guide will show you have to unlock the Boolian Gemini, an Exotic Scout Rifle added in Destiny: The Taken King. There are four main ingredients to obtaining the Boolian Gemini that can be completed in any particular order, but all must be done before you receive the Boolian Gemini. You must be at least Level 3 with the Queen’s Wrath Faction of the Reef. To hit Level 3, you will need to do Petra Venj’s Bounties each week. It also helps to turn in Petra’s quests from House of Wolves. 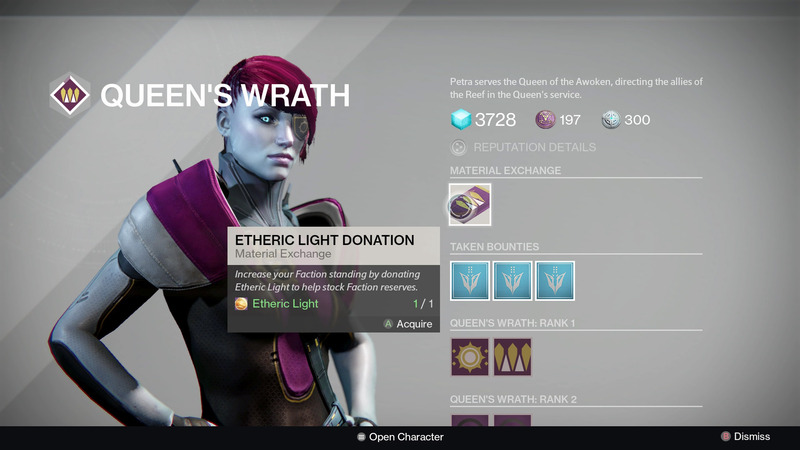 Etheric Light can be donated to Petra Venj in order to gain bonus XP for Queen’s Wrath. 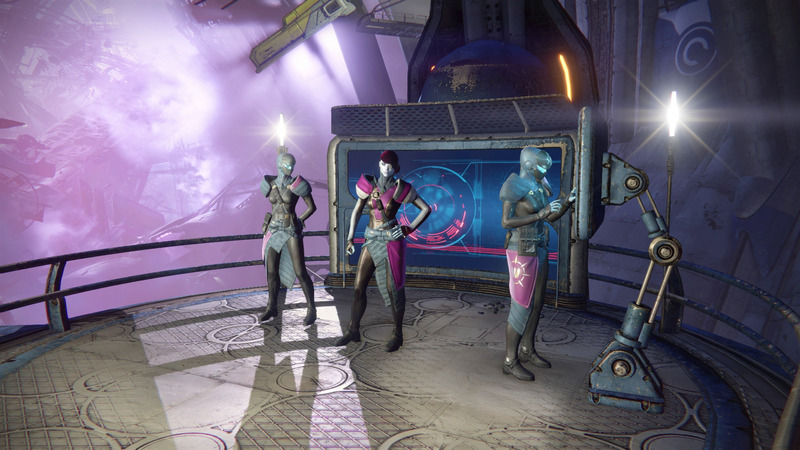 This questline is similar to the other “The Taken War” quest which occurs on Earth, Venus, and Mars. But this one is specific to Petra Venj in the Reef. The first step in The Taken War: Petra tasks you with killing Champions in the Divide, Skywatch, and Rocketyard in the Cosmodrome. To kill these Champions, you will first have to kill three Lieutenants that spawn randomly in the vicinity. When they are dead you can expect the Champion to arrive. It is advised that you bring a Fireteam with you, these Champions are extremely tough to kill. You will also need to find some items from killed Taken and Fallen enemies. Much like the previous step, you will need to kill Champions, but the location is now Venus. The Champions can be found in the Shattered Coast, Ishtar Cliffs, Ishtar Commons, and the Citadel. Kill the three Lieutenants to summon the Champion, ideally bringing your Fireteam along for the ride. You will need to kill more Champions, but this time on Mars. You can find the Champions in the Barrens, Scablands, Hollows, Buried City, Valley of the Kings, and Rubicon Wastes. You will need to kill the three Lieutenants to summon the Champion. 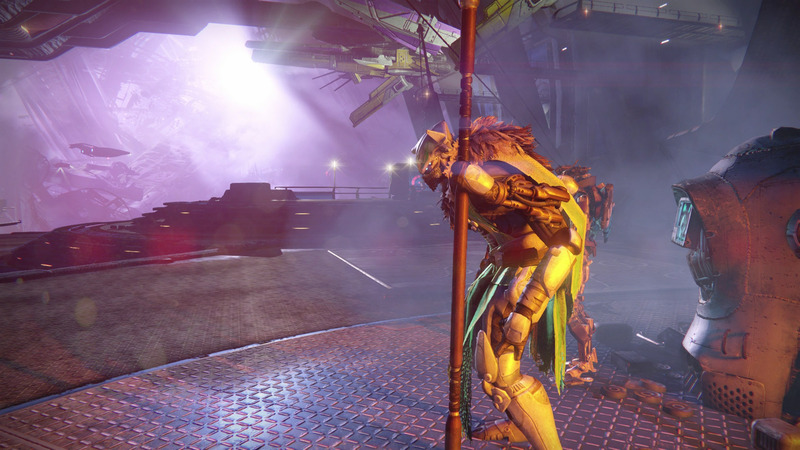 The Wolves of Mars quest is a series of tasks given to you from Variks that sees you hunting down a new Fallen House. You'll want to visit the Reef to begin his portion, keeping in mind you need to finish the earlier parts of this questline before it will become available. Kill 300 Fallen on Earth, the Moon, and Venus. It's a grind, but there's nothing particularly difficult here. Mars is where you'll find the Archon, specifically in the Rubicon Wastes. To find the Rubicon Wastes, head to the right from patrol spawn and into the Scablands, then turn right and head under the bridge, following the winding path into Firebase Rubicon. Pass through the base and into a tunnel system which will end with you entering Rubicon Wastes. A Fallen Skiff randomly delivers a platoon of Fallen into the Rubicon Wastes, followed by the Archon you must kill. Complete the Mars mission, A New Den. This mission sees you fighting backward through the Cerberus Vae 3 Strike and holding out against countless waves of Fallen. You will need to complete the Mars mission, Knock Knock in order to progress the questline. You will fight your way around Mars fighting both Cabal and Fallen with the mission culminating in a Walker tank fight. The final Mars mission in this questline is to hunt down a new Servitor that has risen on Mars. Variks will fill you in on his theory about a new Fallen House rising from the remains of other Houses, lead by a Servitor called Orbiks Prime. Hunt down this Servitor and kill it to quash the Fallen uprising. 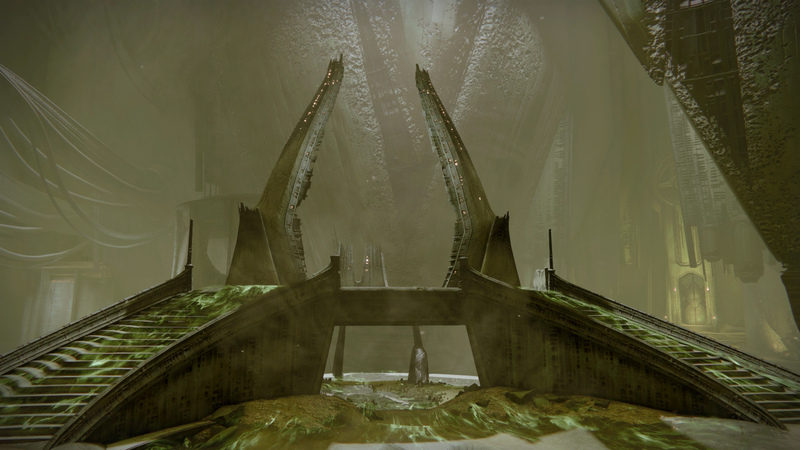 The Lost and Found questline is given to you by Petra Venj and involves two main steps, both of which involve heading to the Dreadnaught to kill some Cabal and Taken. This step requires you to kill enemies on the Dreadnaught, specifically in the Hull Breach, Mausoleum, and Hall of Souls. The final step takes place in the Court of Oryx where you must find the Tech Witch’s Brooch that can be dropped from one of the Court of Oryx bosses. Place a Rune in one of the statues and have fun killing Oryx’s minions! After all the tasks are finished you will need to talk with Petra Venj, who will reward you with the Boolian Gemini!